Our official volunteer photographer, Andrea Heal, snapped some great pics on racer day. Click here to see if you are among her subjects! If you use any of the photos, please give Andrea a photo credit. Check back as more pics will be loaded soon. We have had some questions about the technique options. The event is free technique, meaning skier’s choice on race day. The inclusion of classic in the registration is offered as a courtesy to those who prefer to ski classic, so that they can compare their times with fellow skiers. It also assists organizers to know how much demand there is for classic tracksetting purposes. Which skis you use on race day has no impact on the official results because the event is free technique. Check out this classy Buff headband, custom-designed for the first 500 loppet entries and 100 volunteers! Click here to see a document, written by Bob Putnam, co-owner of Coast Outdoors, with some tips on how best to prepare your skis to ski the Payak. Yes! There are five different and easy ways to earn a free entry into the 2019 edition of the Coast Outdoors Payak! 1) January 14 – 28 Make an in-store purchase at Coast Outdoors of over $150 (before tax) and you are automatically entered. The winner will be randomly chosen January 28 @ 6:00 p.m.
2) If you are registered and attend the Women’s Day at Whistler Olympic Park January 26, you will be automatically entered and there will be a random draw at the Apres ski @ 3:30 p.m.
3) Instagram contest (photo contest of you on your skis with a BIG SMILE). Contest rules: Follow and tag @coastoutdoors in your photo. Random draw January 28, 6:00 p.m.
4) Facebook contest (caption contest, a picture of you on your skis and one word that describes the feeling of skiing on a Nordic trail). 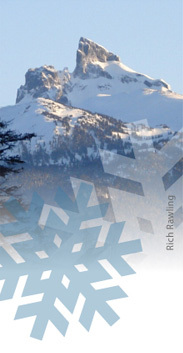 Random draw January 28, 6:00 p.m.
5) January 20 Demo Day @ Cypress Mountain Nordic area. Put your name in a bucket and a random draw happens at the end of the day. We will call/email the winner the following day January 21! Posted in Uncategorized	| Comments Off on What?!? Free Entry?! ?